So you want to plan a girl's trip to the Napa Valley, but where to start? Cait, Natasha, Laura and I took a little break from work, husbands, babies and responsibilities to search out the the best of the best, from where to land, where to stay, what to eat and (most importantly) where to sip the vino - even if it rains. Because let's be honest, we can't control the weather but we can stuff our rain boots into our carry on bags and drink our way through a fabulous weekend. 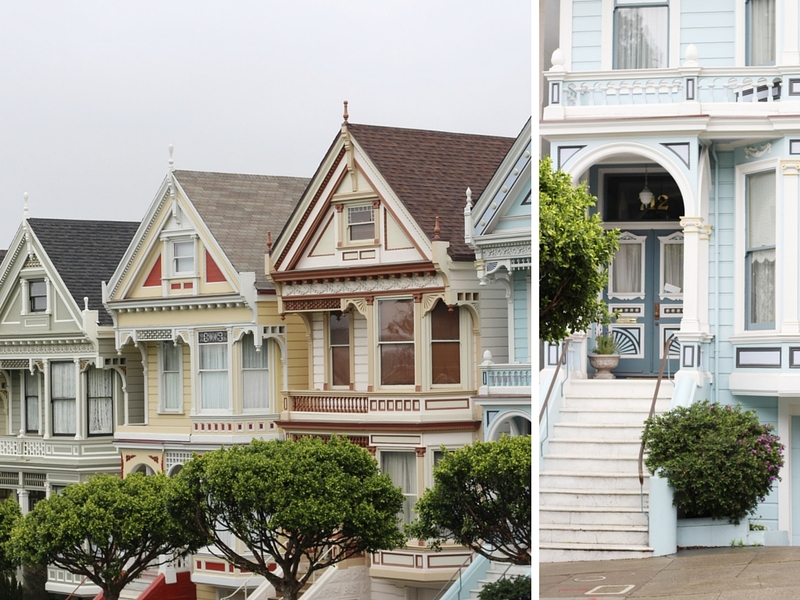 Hop in the car at the airport and head straight for the Painted Ladies. Girls of the '90's rejoice as you feast your eyes upon the glory that is backdrop of those Full House opening credits. If it's raining, make sure you're wearing a hat and your converse because the best vantage point of the Ladies is up a small grassy hill - and there is no way you're missing this photo op. 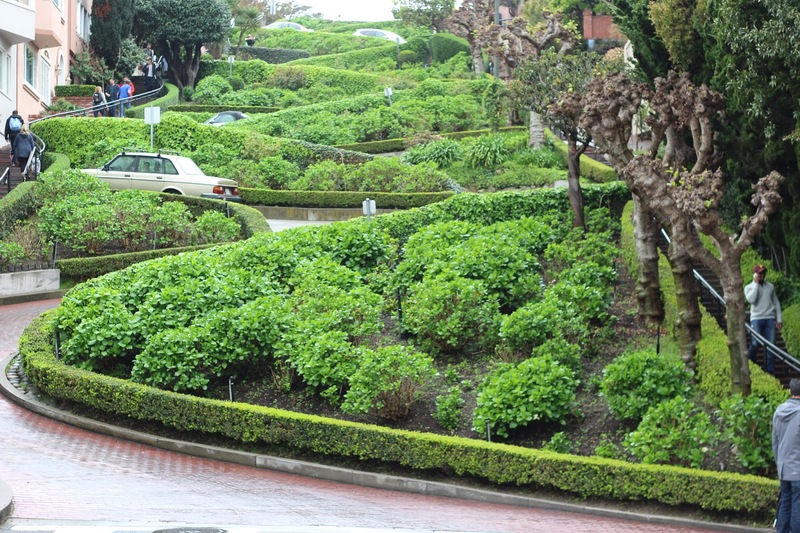 After you've had your fill of living out your DJ Tanner fantasies, hop back in the car and head to the famously crooked Lombard Street. Drive down, check out the stunning houses along the road and hop out of the car for a super quick photo. The bonus to a rainy day in San Fran? Tons of street parking! which, as luck would have it, is on your way to Napa! The bridge really is worth a stop, even in the rain - you can pull off the highway just before you cross the bridge and take it in from a few different vantage points. 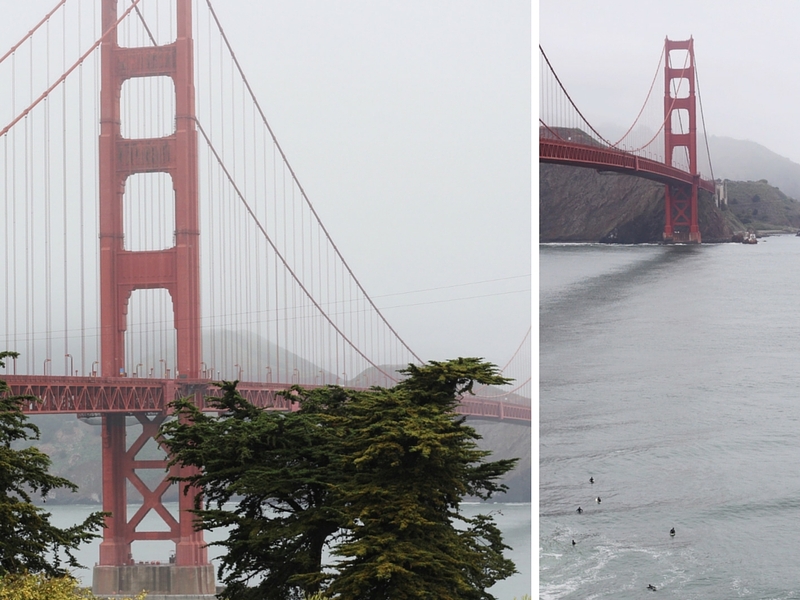 Alcatraz, insanely cold surfers and the hills can be also be spotted. 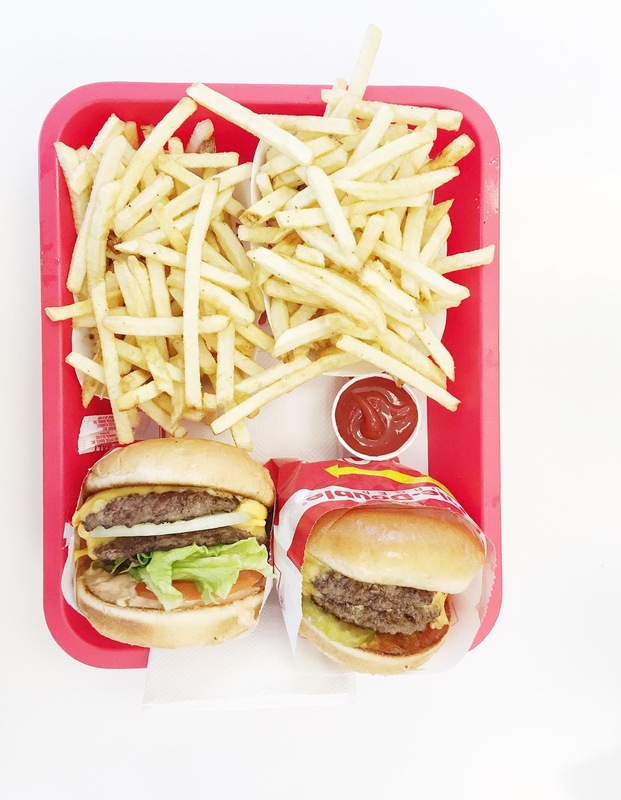 Stop on your way to Napa, grab a Double Double Animal Style and call yourself blessed to be on the West Coast. 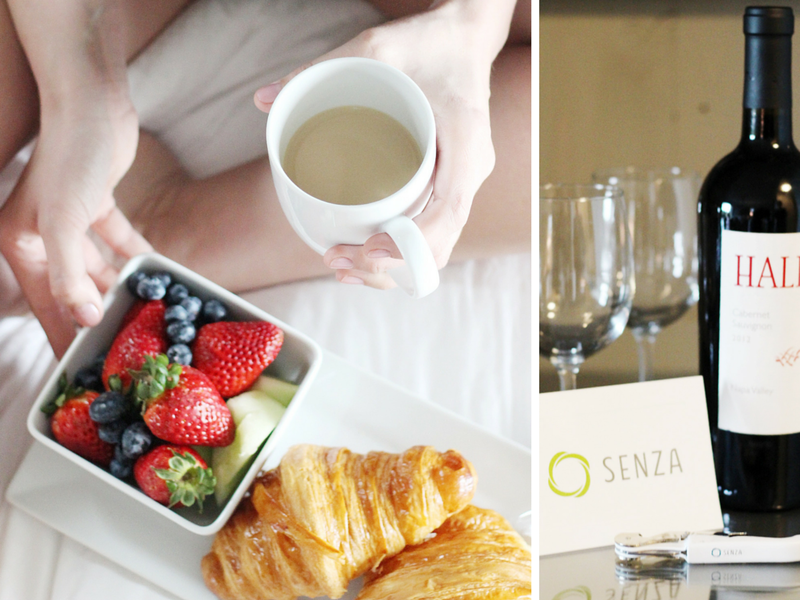 You'll need the perfect spot for all of the girls to relax, take in vineyard views and feel spoiled, so you must stay at the SENZA Hotel. SENZA is a stunning property with rooms steps from the vineyards. The accommodations are chic and minimalist with more than enough space for two of you to dump out your suitcases and stay a while. If the fireplaces (perfect for rainy days! ), huge rooms and over sized balconies aren't enough, the Bouchon Bakery breakfasts, complimentary nightly wine tastings and cabana pool should probably seal the deal. Waking up every morning and rolling in to a stunning breakfast without the typical wait required to inhale Bouchon croissants was a highlight for me. 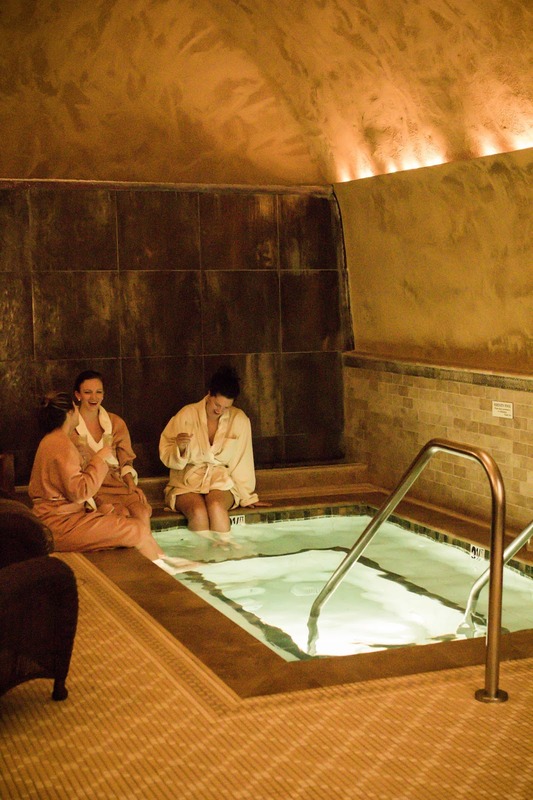 All girl's trips require a bit of relaxation and the Spa Terra at The Meritage Resort and Spa is as unique as they come. Built into a cave under the vineyards, Spa Terra has no cell phone reception, is the epitome of old world charm and is, of course, open rain or shine. While you're there, ask for Mercer, especially if you need a deep tissue! And, of course, have a glass of champagne in the whirlpool prior to taking advantage of Spa Terra's gorgeous showers and steam rooms. Our group scheduled three tours and wine tastings over two days during our visit and we couldn't have been happier with our choices. 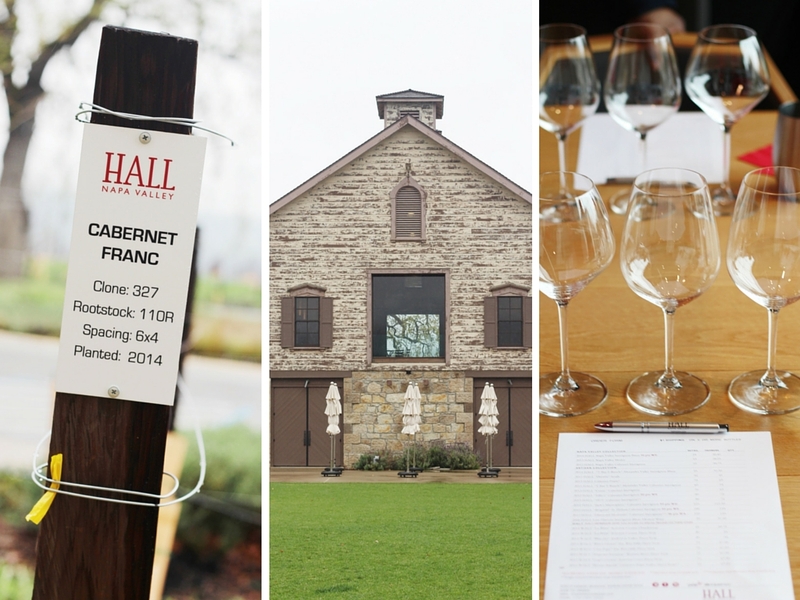 With so many gorgeous wineries in Napa, picking just a few to visit seems impossible but we managed to tour three extremely different and stunning properties. Make sure that you call ahead and make a reservation - even in the rain many vineyards were still rocking full tour schedules. 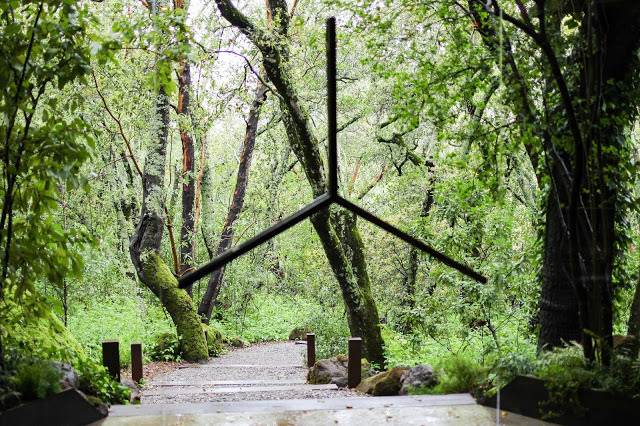 HALL St. Helena is a gorgeous property that blends wild, modern art with the traditional buildings of old Napa. Colin was our tour guide and we loved him from the start (I think the British accent helped). My absolute favorite sip in all of Napa was a young red out of the barrel - her name is Katherine and she is only released once a year. The barrel we sampled will hit the shelves in October of 2017 and I have the date set on my calendar! If it rains, the tour will be shortened so that you can spend more time in the tasting room which, with stunning floor to ceiling windows, feels like it's outside in the vineyards. Where Hall St. Helena is clean and modern, Chappellet is set up the mountain (technically, Pritchard Hill) in a stunning, lush green hideaway. 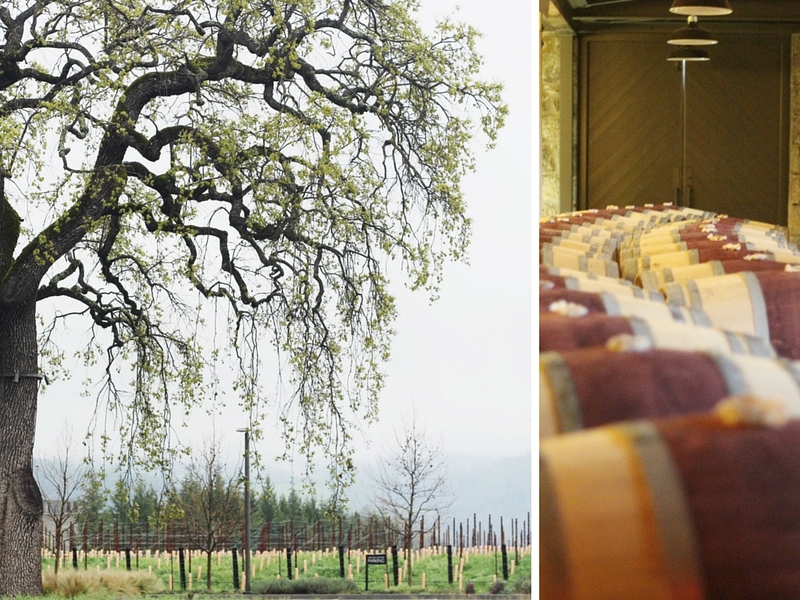 The views from their perch above Napa are like none other and their heated (yes, heated) wood tasting tables are perfect for a rainy day tour. Chappellet provides umbrellas and North Face gear on wet weather days and an extra pour after your drive up. If Restoration Hardware is your dream decor, you must schedule a visit to Charles Krug. The Charles Krug tasting room was designed by the forces behind Restoration Hardware and the nautical buoy light fixture had me at hello. If it's not raining, plan to picnic on the lawn - if it is raining then pull up an overstuffed arm charm and get to sipping! The Napa restaurant scene is home to the best of the best. 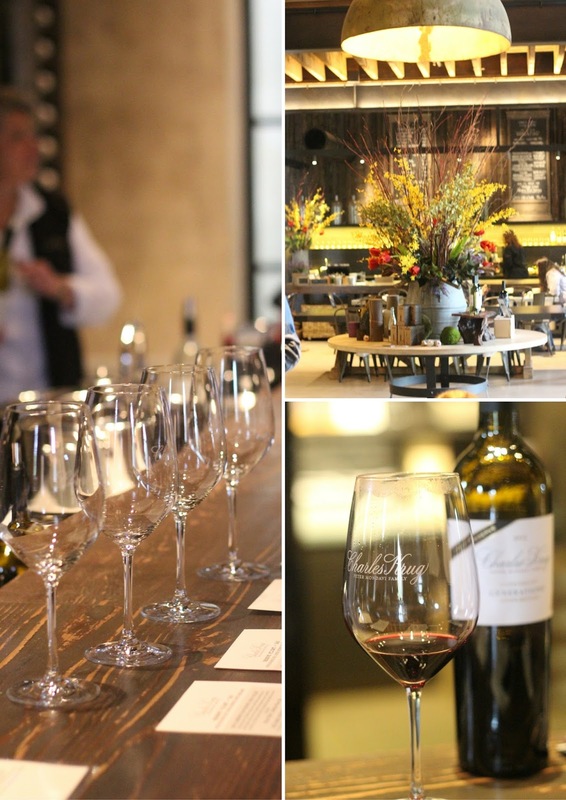 Here are my top three dining pics from our stay in Napa, and each are perfect for hosting your group of girls! While a little difficult in the rain, Gott's is not to be missed. We scoped out seats under the covered porch and made the best of it with our own bottle of wine from Charles Krug. I myself ordered both the blue cheese burger and the Ahi tuna burger and had them cut in half to share with the girls (and so that I wouldn't miss out!). Best on the menu: the blue cheese burger! Redd Wood is charming and delicious, perfect for your first night together. Split a couple of pizzas (the prosciutto was my favorite, Natasha was in love with the Brussels sprout pizza) and lots of desserts and you'll be set for the night. 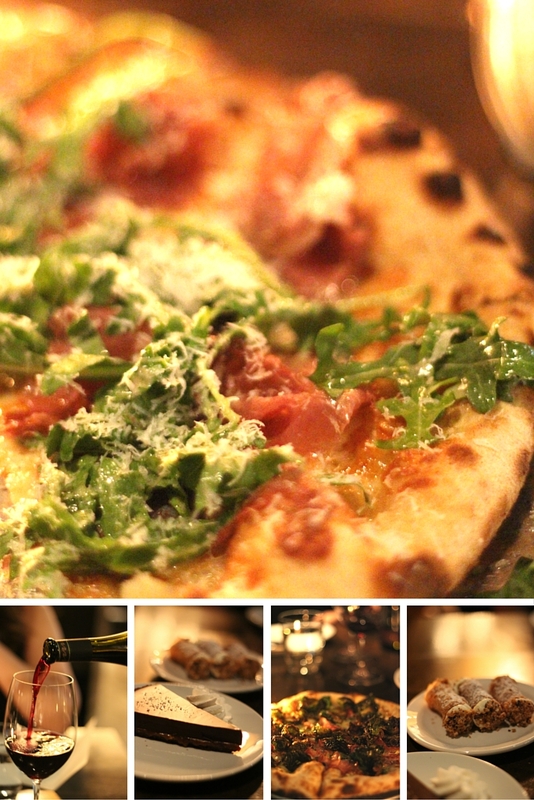 Best on the menu: the prosciutto and arugula pizza - maybe the best pizza I've ever eaten! 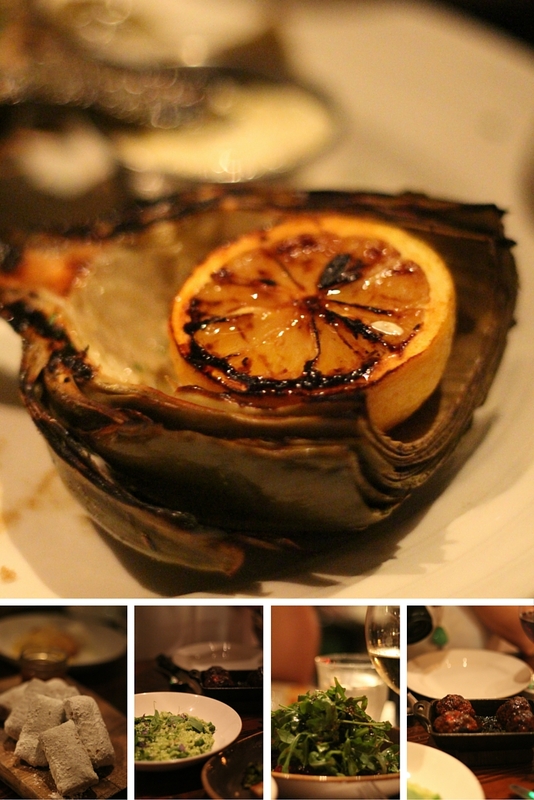 Farmstead was our last dinner in town and the one that everyone was most looking forward to. 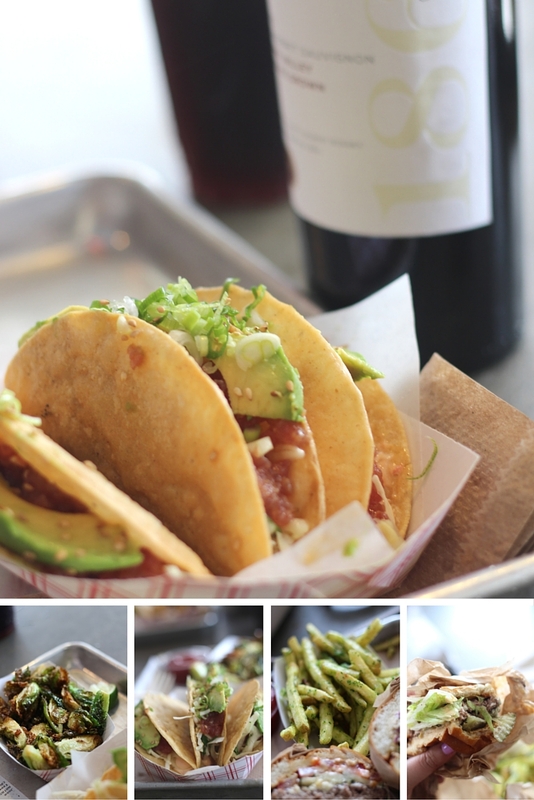 Quirky, lively and boasting a bigger menu than we'd seen, I loved every single bite of every plate from Farmstead. We ordered everything from pork chops to gnocchi and every bite was perfect. Best on the menu: the meatballs! You can walk through the vineyard from your hotel room at SENZA to the stunning Don Giovanni's. If you go, order the Strawberry Prosecco cocktail and anything that they can shave the aged Parmesan all over. So, there you have it! 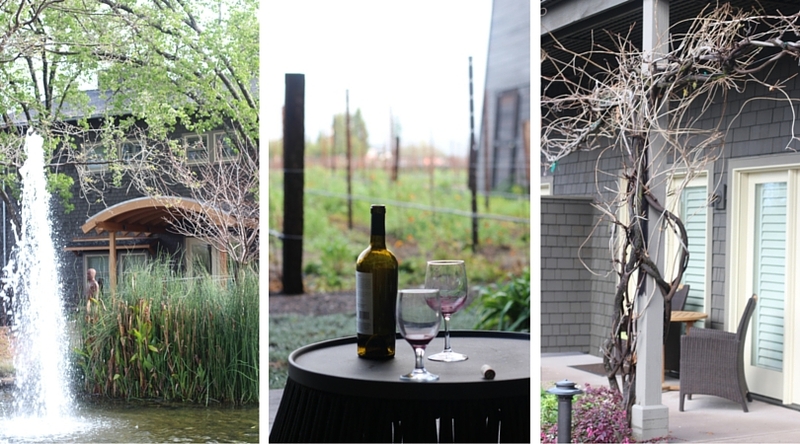 The perfect girl's trip to Napa - where to stay, eat, drink, play and most of all, relax, even if it rains. 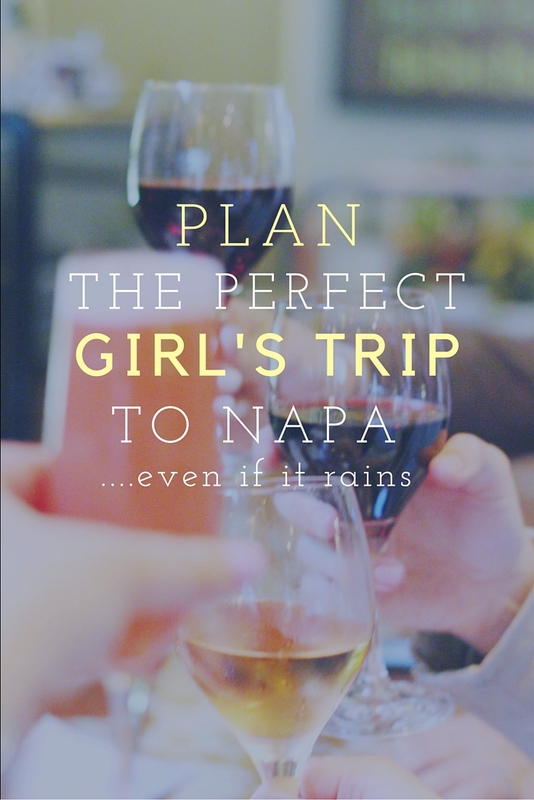 If you've have a burning question about planning a girls trip to Napa, I'm happy to answer them via email! A special thank you to SENZA, Spa Terra at the Meritage Resort and Spa, Hall Wines, Chappellet and Charles Krug Winery for providing us with complimentary or discount services during our stay. All opinions are 100% my own and based upon my experience. You are really making me want to plan a girls trip ASAP! Even in the rain it looks like a blast! Beautiful photos too! Can we do it all over again please?! The best!! I'm going with my husband in April, we only have one full day in Napa. How do you feel about those "touristy" bus tours of vineyards? I feel like it could be a good way to see multiples..but don't want to feel like cattle being corralled around. Your thoughts?? We had a great time just using Uber to bounce from place to place! 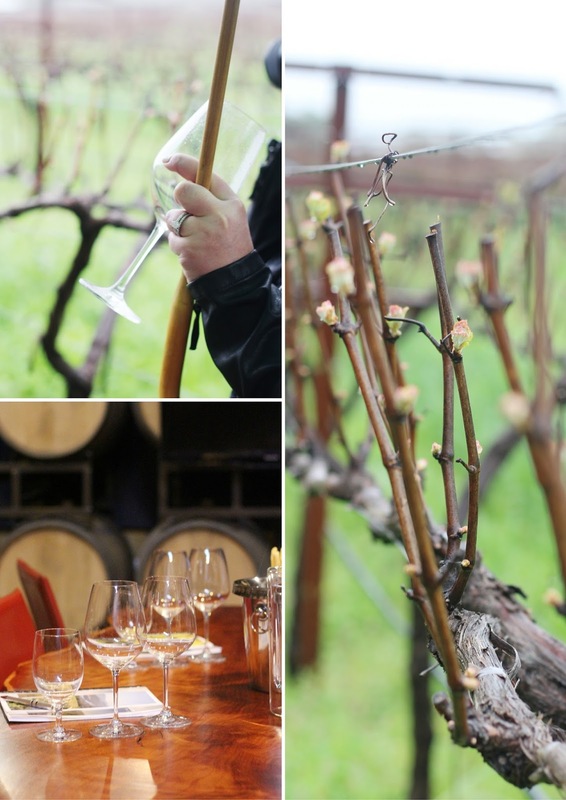 Each tour and tasting takes about 90 minutes and having the flexibility to stay at your fave vineyard is so fun - However, you do need to make appointments for tastings so going on the bus tour would mean all of that is taken care of for you! thanks mama! wanna plan an adventure?? We have been wanting to do a girls trip to Napa for so long! You may have just sealed the deal.